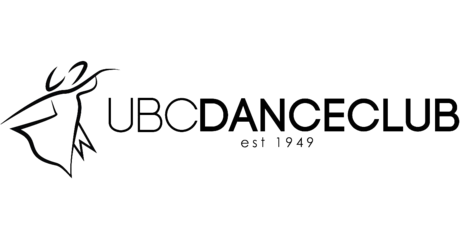 The UBC Dance Club provides a full year of lessons (16 weeks) in which you will learn International-Style Ballroom and Latin dancing. Jive, Cha Cha, Rumba, Waltz, and Quickstep as well as many other dances will be taught by some of BC’s most accomplished and capable instructors. Our outstanding faculty includes Kyryl Dudchenko, Joel Marasigan, Zillion Wong, Murray Schellenberg, and Crystal Li. Kyryl started ballroom dancing when he was 7 years old in Ukraine. He underwent extensive training with different distinguished teachers and coaches in both Latin American and Modern/standard programs as well as supplementary basic training in ballet. 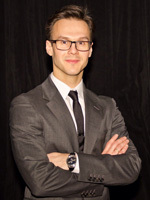 He has competed in numerous competitions all over Eastern and Western Europe as well as in North America, at first representing Ukraine and then British Columbia, on international and local DanceSport arena. Furthermore, Kyryl also participated in the Canada-wide aired TV show, Dancing at the Palais. Since moving to Canada in 2000 and until turning professional Kyryl maintained highest amateur ranking position in British Columbia. In 2002 Kyryl became professional and since then teaching and coaching competitors (kids, teenagers and seniors) in both Latin and Standard divisions. 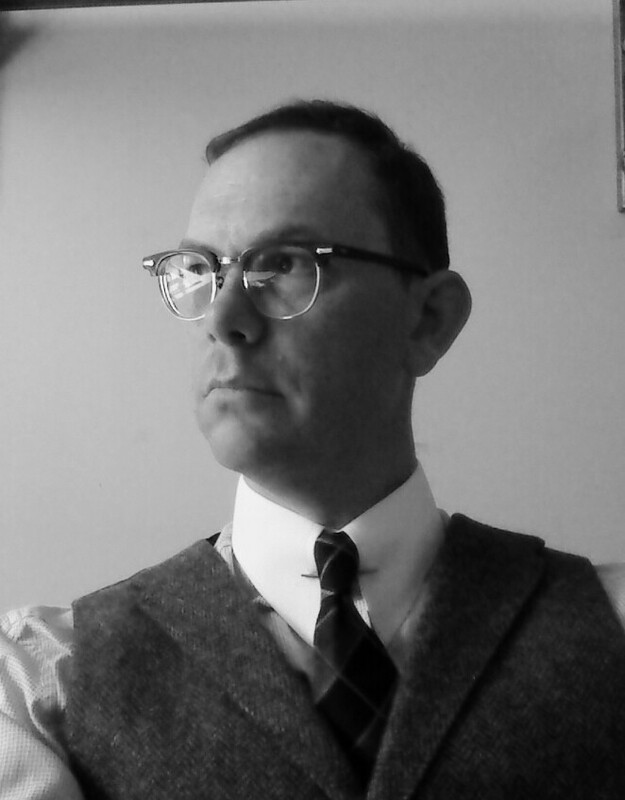 We are proud to once again have Joel as one of our Newcomer teachers, our Advanced Standard teacher and our Standard Technique teacher. Joel is a UBC Science grad and more importantly a UBC Dance Club grad too! His list of accomplishments is too long to mention here, but let’s just say he (and Clara, his wife and mom of their two super cute daughters) is the highest ranked Adult Standard dancer from BC in the past 40 years, with Undefeated Championship titles, World Championships, and movie credits under his name. After living in both England and Italy for their dancing (the only Canadian couple to ever do so), they retired from competition, moved back to Vancouver and co-founded JC Dance Co in 2006 to start their professional teaching careers. Joel absolutely loves teaching ballroom and it really shows in the fun and enthusiasm he brings to every class he teaches and how he runs his dance company with Clara. Just recently Joel won the World Championships in the Senior Pro-Am category with one of his students. That’s right, the UBC Dance Club has a World Champion professional teacher on staff! Although a lot has happened, he still remembers the excitement of being part of the UBC Dance Club (both as a student and as the club’s President) and is thrilled to teach and inspire a new wave of student dancers. Joel is currently offering 50% off the first private lesson for all UBC Dance Club members, plus regular discounts for further lessons. Full time students also receive a 33% discount to JC Dance Co’s “PEAK” competitor training sessions. Those are huge savings for a top quality teacher! Please speak to him directly for more information. Zillion began dancing at the age of 10 and has not stopped since. Born and raised on Vancouver Island, Zillion has become a well known international competitor in both International Style Standard and Latin dancing. He has travelled extensively to such countries as the United States, England, Belgium, Austria, and Russia to train and compete with the best in the world. The UBC Dance Club has been an important part of Zillion’s life. During his Engineering undergraduate studies at UBC, he greatly enjoyed being in the club as an executive member for 5 years, and is honoured to have represented the club as the president for 2 of those years. 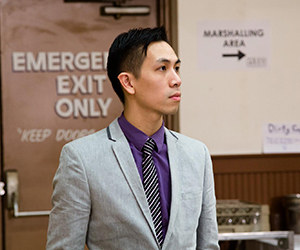 Zillion looks forward to working with the club to share his knowledge and passion for Ballroom and Latin dance. Murray started dancing at the Dance Club at the University of Alberta in 1986. He did his initial professional training in Montreal and turned pro in 1991. He taught with the UVic Dance Club and with the Victoria Ballroom Dance Society until 2000 when he moved to Vancouver. There he taught with the UBC Dance Club and Not So Strictly Ballroom until 2012. Murray competed at the professional level with his partner Dianne Gallagher in the late 90s and has worked as a judge, scrutineer and Master of Ceremonies for many competitions. After a year in Rochester, NY he is thrilled to be back in Vancouver. Crystal first started ballroom dancing RIGHT HERE at The UBC Dance Club exactly 10 years ago. She started out as a local competitor with her dance partner Han Ly. Their first competition was UBC Gala Ball; since then, they have moved up the ranks, traveled all over the world for competition, and trained with the industry’s top coaches. Together with their team of coaches – Shirley Ballas, Eugene Katsevman, and Jonathan Wilkins – Crystal has been in the Canadian Professional Final for both Latin & Ballroom, and is the Canadian Professional 10 Dance Vice Champions two years in a row! She will be representing Canada in the World Championships in Oct 2018 with her partner. Not only is Crystal an active Professional competitor – she also runs her own Dance School in Richmond BC – Imperial Ballroom – proud sponsors of the UBC Dance Club. The Imperial Ballroom runs a very successful kids/youth/adult program – training the next generations of young dancers. 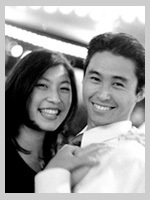 In addition Crystal is also coach of our sister club UBC Formations Team along side her partner Han Ly.